In this tutorial we will explore how to build a stylised cowgirl character using subdivision surfaces. 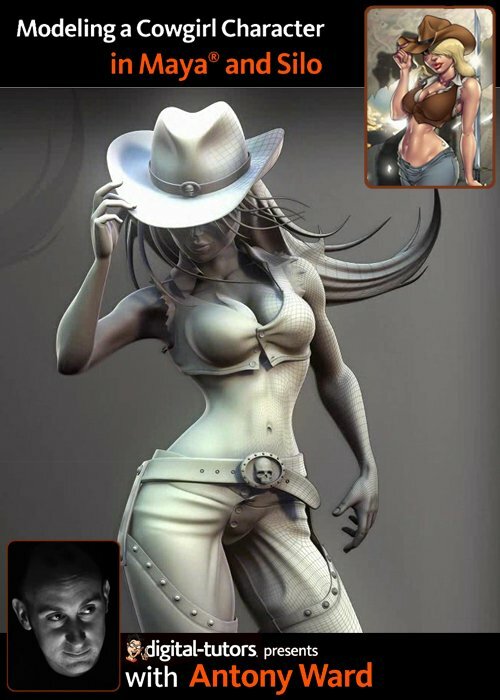 Throughout these lessons we will explore the use of subdivision surfaces to help us quickly create a stylized cowgirl character. We will begin with a base mesh before posing her and adding clothing and detail. The result will be a highly detailed model ready for textures and rendering that can be used in an illustration or even animation. Although we will primarily be using Silo throughout the tutorial, the techniques taught in these lessons can be followed along using any subdivision surfaces software.